Business organisations operate in increasingly diverse and inter-related environments around the globe. While gender diversity already encompasses a wide range of theory and research, as an issue in business coaching it is relatively new. People often assume that diversity is only about race and gender, but it covers a much wider scope. It encompasses assumptions based on race, gender, language, faith, education, class, nationality and tribe, that often limit people according to their group identities and the places allocated them in social and workplace hierarchies. 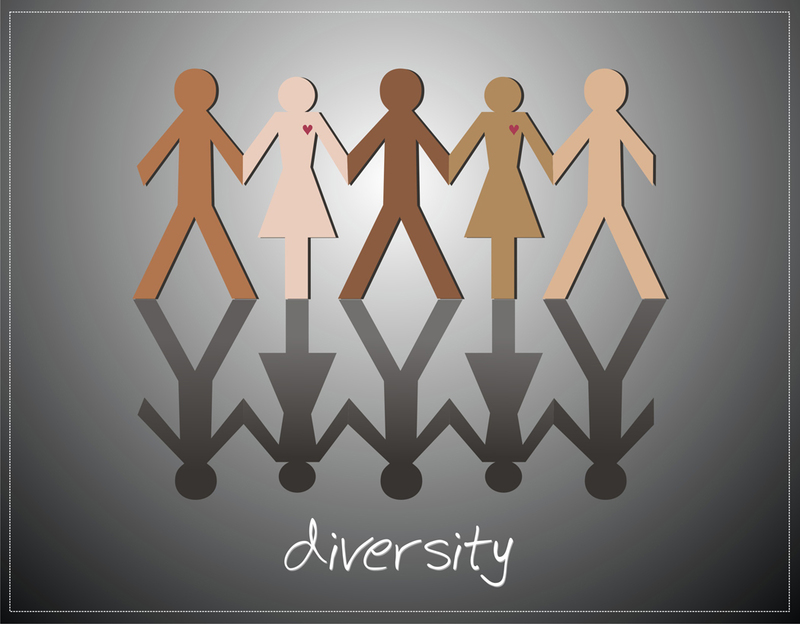 Diversity is ultimately about who has power and who doesn’t – and any form of power exacerbates difference and influences how we perceive and react to another’s behaviour (Stout-Rostron, 2009:175-179). Gender, of course, refers to both men and women, and covers how men and women are socialised, and the impact of organisational culture (predominantly male in most institutions) on the development of both women and men in the workplace. It is important not to assume that women represent the only gender concerns, but to broaden the discussion to include men. Men also suffer from negative self-images on an individual and collective level, depending on the culture and country within which they live and work. It is often the case in Western countries, for example, that understanding regarding “men of colour is limited to negative stereotypes related to sexist behaviour” (De La Cancela, Jenkins and Chin, 1993:9). As Bruce Pelti er notes in his seminal book The Psychology of Executive Coaching (2001:190), “Women have arrived in all arenas of the workplace and they are not going back home”. Peltier’s view is that coaches need to understand how women function within an organisation – the reverse of the standard approach to coaching women, which suggests they need help in finding a way to fit into organisational culture. Peltier mentions the “glass ceiling” that still prevents women from progressing too high in US organisations; and the “glass walls” that keep women in “pink collar” jobs such as human resources, organisational development and marketing (Peltier, 2001:193). In her book, The Argument Culture (1999), Deborah Tannen picks up on the appetite in our contemporary world for conflict, debate and argument – rather than dialogue. Corporations also often operate on an adversarial approach to business, “settling disputes in litigation” (Tannen, 1999:4). The tendency to polarise and win the argument is essentially the nature of business. Tannen, whose earlier (1995) work explored the differences in communication styles between men and women, has helped practitioners to understand how the “argument culture” impacts the workplace. She draws attention to military and war metaphors which pervade managerial and board room language, affecting behaviour and thinking. Tannen’s research has shown how deeply entrenched is the language divide between male and female ways of thinking and speaking. Her work is a useful input for coaches helping men and women resolve differences in their approach to professional and to personal life. Corporate conflict is where the role of the “Alpha Male”, the dominant white male executive, plays a strong part. Peltier notes that business organisations are typically male-led and dominated by male culture and male assumptions, and calls it the “Testosterone Culture” (Peltier, 2001:192). Like Tannen, Peltier finds that metaphors from war and sports are typical in the standard business environment – almost as if men are continuing to play children’s fighting games, keeping score with “clear winners and losers” (Peltier, 2001:192). Kate Ludeman and Eddie Erlandson (2004) dazzled leaders and academics with their Harvard Business Review article “Coaching the Alpha Male”. Defining the alpha male as “highly intelligent, confident, and successful”, and claiming that they represent “about 70 per cent of all senior executives”, Ludeman and Erlandson depicted alpha males as “people who aren’t happy unless they’re the top dogs”. In their research, they claimed to have rarely found successful female leaders with equally strong personalities, or to find women who matched the “complete alpha profile”. Alpha males are described as natural leaders who get stressed only “when tough decisions don’t rest in their capable hands” (Ludeman and Erlandson, 2004). When asked why so many “alphas” need executive coaches, Ludeman and Erlandson explain that their “strengths are also what make them so challenging, and often frustrating, to work with; independent and action-oriented, alphas take extraordinarily high levels of performance for granted, both in themselves and in others”. However, alpha males have “little or no natural curiosity about people or feelings” – they “rely on exhaustive data to reach business conclusions but often make snap judgments about other people, which they hold on to tenaciously. Because they believe that paying attention to feelings, even their own, detracts from getting the job done, they’re surprisingly oblivious to the effect they have on others. They’re judgmental of colleagues who can’t control emotions yet often fail to notice how they vent their own anger and frustration” (Ludeman and Erlandson, 2004). Ludeman and Erlandson claim that alphas make perfect mid-level managers whose primary role is to oversee processes. Unfortunately, in the CEO role they don’t necessarily become inspirational people managers. 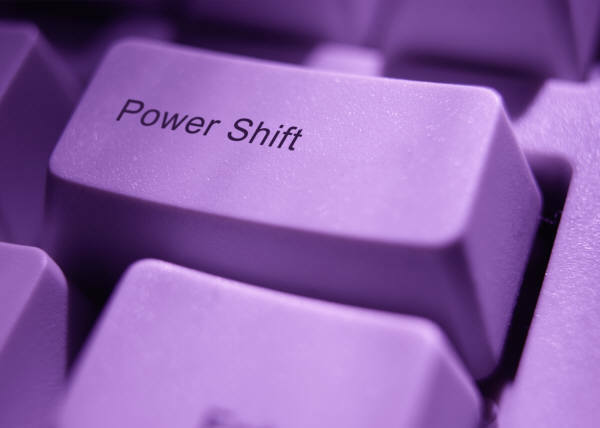 If the organisation can’t help their alphas to make the required transition, this is where a skilled and competent business coach is needed. However, alphas aren’t necessarily good at asking for help, and can be “typically stubborn and resistant to feedback”. Ludeman and Erlandson (2004) therefore suggest that coaches shouldn’t undermine the alpha’s focus on results, but should improve the process for achieving them. Systematic investment in career and development. Career progression emphasised the need for career planning; being provided with and developing career direction; gaining skills and education to progress career. Confidence examined a major area for coaching – women’s lack of self-belief. The interviews demonstrated a clear need to overcome personal insecurities and inadequacies, and knowing when to say no to other’s expectations. Organisational dynamics means developing a sufficient understanding of organisational culture and finding out the rules of the game. Most women leaders showed a deficit in terms of understanding the culture of the organisation in which they work. Relational support made it clear that women lack an understanding of the critical need for networking to advance their careers, and often start to network at a later age than men. The shortage of women in senior and executive management positions also means a lack of female role models who have “leveraged their strengths as a female rather than diminished them to get on”, and with whom women can work to support their career development. 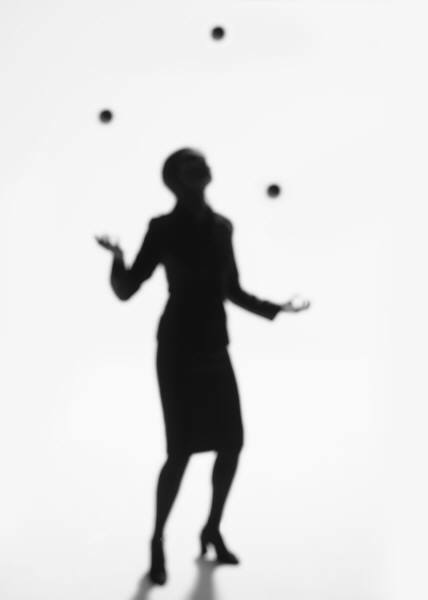 Work-life balance is not a factor that either men or women often get right. However, women seemed to be at a particular disadvantage in terms of “balancing personal life and career” and “attempting to be all things to all people, i.e. running a home and a career”. It is vital that the business coach is able to raise corporate leaders’ awareness of crucial diversity issues, both within themselves, their teams, and the culture of their organisation. However, the business coach needs to first become aware of, analyse, challenge and manage their own discriminatory attitudes and behaviours before they can help their clients to manage similar issues. We do this by examining untrue limiting assumptions which society and organisations make about people based on their group identities, in this case gender. Unconscious attitudes towards others are the privilege of power. While coaching in a major educational institution in South Africa, it became clear that all the senior women academics, managers and administrators were about to quit their jobs. These women were of different ethnic backgrounds, languages and ages; their only common factor was gender. The male culture, which included men previously disadvantaged under apartheid, tolerated an open and aggressive disrespect for women. This was an “unthinking exercise of power”; the men were unconscious until the impact of their behaviour was brought to their attention (Stout-Rostron, 2009:175). Typically, therefore, it is people’s everyday, unconscious assumptions that undermine others (Kline, 1999). Nancy Kline’s research, referenced in Time to Think (1999) and More Time to Think (2009), emphasises the importance of developing diverse Thinking Environments® within organisations. However, diversity must mean an absolute assumption of equality in the face of difference. Kline’s coaching framework is underpinned by Ten Components or behavioural values (summarised in Table 1), positive philosophical choice, and incisive questions. Men are trained to play the role of Thinker but not that of Thinking Partner, and to assume the best help is to give others their ideas — and to do their thinking for them. Limiting messages in men’s culture discourage them from creating a Thinking Environment® for others, and dictate against the Ten Components. Limiting messages are that “real men don’t do feelings; asking questions erodes your power base; criticism is the road to real improvement, and success is defined as winning”. Liberating messages in men’s culture encourage them to create an internal thinking environment for themselves (men’s thinking matters; men should be listened to). Women are socialised to play the role of the Thinking Partner but not that of the Thinker. Limiting messages in women’s culture (defer to others; keep quiet; women are too emotional; men are more important than women) discourage women from playing the Thinker role and from creating an internal thinking environment for themselves. Liberating messages in women’s culture encourage women to develop an external thinking environment for others. The liberating messages in women’s culture prepare them to support all Ten Components of the Thinking Environment®. Source: Adapted from Kline (1999:35–96). It is important in any working environment that the leaders become aware of and manage their own limiting assumptions on diversity issues before they can begin to lead, manage or coach direct reports on similar issues. In the creation of a Thinking Environment®, Kline has developed a variety of coaching diversity exercises. These explore the roots of discriminatory attitudes and behaviour, and examine untrue limiting assumptions that society and organisations make about people on the basis of their individual and group identities. As practitioner, researcher or leader, these exercises help you to remove limiting assumptions and replace them with true liberating assumptions that free individuals and groups to reclaim their self-esteem and influence. Parts of this article have been based on excerpts from the chapter “Diversity and gender” by Dr Sunny Stout-Rostron in the forthcoming Handbook of the Psychology of Coaching and Mentoring, edited by Jonathan Passmore, to be published by Wiley-Black. De La Cancela, V., Jenkins, Y.M., and Chin, J.L. (1993). Chapter one: Diversity in psychotherapy: Examination of racial, ethnic, gender, and political issues. In Chin, J.L., De La Cancela, V., and Jenkins, Y.M. (eds), Diversity in Psychotherapy: The Politics of Race, Ethnicity, and Gender, (pp.5–16). Westport, CT: Praeger. Gatrell, C., and Swan, E. (2008). Gender and Diversity in Management: A Concise Introduction. London: Sage. Kline, N. (1999). Time to Think: Listening to Ignite the Human Mind. London: Ward Lock. Kline, N. (2005). The Thinking Partnership Programme: Consultant’s Guide. Wallingford: Time to Think. Kline, N. (2009). More Time to Think: A Way of Being in the World. London: Ward Lock. Leimon, A., Moscovici, F. and Goodier, H. (2011). Coaching Women to Lead. New York, NY: Routledge. Ludeman, K., and Erlandson, E. (2004). Coaching the alpha male. Harvard Business Review, May. Peltier, B. (2001). The Psychology of Executive Coaching: Theory and Application. New York, NY: Brunner-Routledge. Stout-Rostron, S. (2009). Business Coaching International: Transforming Individuals and Organizations. London: Karnac. Tannen, D. (1995). The power of talk: Who gets heard and why. Harvard Business Review, September–October. Tannen, D. (1999). The Argument Culture: Stopping America’s War of Words. New York: Ballantine Publishing House, Division of Random House. This entry was posted in Business Coaching, Coaching, Leadership Coaching, Leadership Development and tagged diversity, gender, glass ceiling. Bookmark the permalink.